Turning the corner in the drive to improve environmental performance in the oil sands, and beyond. 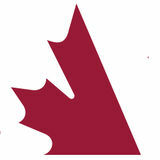 Canadian Association of Petroleum Producers. All rights reserved. 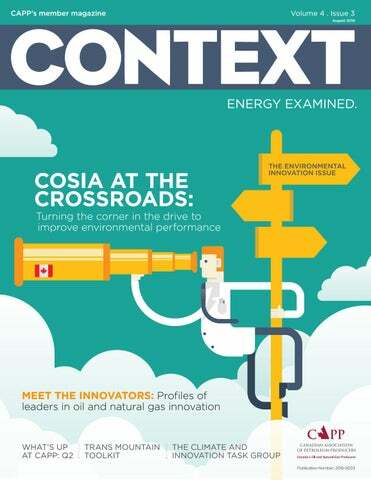 Innovation is a mantra within Canada’s oil and natural gas industry. The word itself may be overused at times, but what it means to our industry, Canada and the world, cannot be overstated. invest in research and development that leads to both breakthroughs and continuous improvement. This is why, although we face significant environmental challenges, I am confident our industry can do its part in meeting those challenges. 2015 Paris Climate Conference. While we as an industry are just one part of a collective effort that includes government, regulators and energy consumers, we do not shy away from the prospect of being a leader. We thrive upon it. Doing so will enable the growth of our industry and the long-term prosperity of Canadians. It will help establish us as a supplier of choice to a world that will continue to rely on oil and natural gas for decades to come. The International Energy Agency forecasts global energy demand to increase by nearly one third between 2013 and 2040, with fossil fuels continuing to be a key fuel source that moves people, keeps them warm and provides energy security. At the same time, recent commitments by governments around the world to transition to a lower-carbon economy mean that consumers will increasingly look for energy that is produced the Canadian way: in an environmentally responsible, transparent and stringently regulated manner. For Canada’s oil and natural gas industry, innovation is in our DNA. It comes out strongest when we are faced with a compelling challenge: such as the need to improve environmental performance, meet stringent environmental regulations, and remain competitive in the global market. Since 2000, we’ve seen a quadrupling in oil-related patent applications by Canadian inventors as a share of total patent applications at Canada’s Intellectual Property Office (CD Howe, 2016). A report by the Science, Technology and Innovation Council found that research and development investment in the Canadian oil and gas industry has increased almost 14-fold from 1999 to 2015. Canada’s Oil Sands Innovation Alliance (COSIA) has developed and shared 819 distinct technologies valued at $1.3 billion. Q2 2016 Visit www.capp.ca/about-us/membership to view our full list of members. 2016 Crude Oil, Markets and Transportation Forecast The 2016 Crude Oil, Markets and Transportation report forecasts oil production based on data and surveys of Canadian producers. Released in June, this annual CAPP report indicates that Canada’s crude oil production will continue to grow, though at a slower pace compared to previous reports. By 2030, supply of Western Canadian crude oil will increase by 1.55 million barrels a day (b/d) to a total of 5.5 million, driven primarily by oil sands production. In response to the wildfires that forced the evacuation of Fort McMurray in May and that devastated parts of the city and surrounding areas, CAPP partnered with other energy sector associations including PSAC, CAODC, EPAC and OSCA to form the Energy Together coalition. Energy Together allows industry to provide a coordinated response in support of Fort McMurray and area residents. This included creating an industry portal for donations to the Red Cross relief effort that has raised close to $450,000 to date—monies used to provide key relief and aid during the evacuation and disaster response. Through this coalition, CAPP and its partners will continue supporting the community of Fort McMurray—working with government and community groups to provide resources and equipment needed for long-term recovery and rebuilding. For more information, contact Matthew O’Connor, media relations advisor, Matthew.OConnor@capp.ca. In July, the Alberta Energy Regulator (AER) released Directive 085 under the Oil Sands Conservation Act. The directive, which replaces Directive 074, establishes requirements operators must meet with regards to managing fluid tailings at oil sands mining projects. Under D085, project-specific triggers and limits are set for each operation to ensure fluid tailings are in a ready-to-reclaim state within 10 years of the end-of-mine life. •C  ontinued resource access for existing mineral land tenure owners; • Tenure extensions in exchange for voluntary deferrals of industry activity; • Contemplation for new issuance of mineral land tenure in the future; and, • Up-front government funding for seismic line restoration (repaid by industry over a 30-year time span). “The commitment to a working landscape and the recognition of the energy sector’s minimal impact to caribou habitat are reflected in these plans,” notes Sherry Sian, manager of land policy and integrated resource development at CAPP. “These plans are a significant departure from an initial government proposal to impose a five-year moratorium.” The plans are the culmination of several years’ work among government and affected stakeholders through the Multi-stakeholder Advisory Group, of which CAPP was a participant. Griggs adds that CAPP and members, led by the Tailings Management Framework Implementation Committee, have been engaged for a number of years, providing support through consultations with government and working to help address the many technical issues involved with the regulations. “There was significant investment by member companies supporting CAPP, and I think by working together we’ve achieved a positive outcome that establishes a clear and achievable regulatory environment for industry—one that ensures full reclamation of oil sands tailings over a reasonable timeframe,” says Griggs. For more information, contact Sherry.Sian@capp.ca. For more information, contact Martyn.Griggs@capp.ca. “A key outcome for industry was building into the regulations a recognition of the uniqueness of each operation, taking into account geology, differences in technology and where operators are at in the life cycle of their operations,” says Martyn Griggs, manager of oil sands policy at CAPP. Coming Soon: Canada’s Natural Gas Website CAPP launches an updated www.CanadasNaturalGas.ca website the week of September 6. “Key updates include up-todate information focused around issues and questions people have about natural gas, and an easier to navigate and search design,” says Brenda Jones, manager of communications at CAPP. “Also important is that the site will now be available in both French and English.” For more information, contact Brenda.Jones@capp.ca. Did You Know? Industry has invested more than $10 billion on tailings management and spends more than $50 million a year on research and development to advance technologies and solutions to tailings. What’s new, though, is that governments are actually doing something about climate policy. With so many provincial governments developing policies, and with the federal government also getting involved, and everyone working towards some fairly ambitious deadlines, the policy and regulatory landscape has gotten very complicated. In this challenging environment, it’s important for CAPP to have a group with clear oversight regarding climate and innovation issues, and who can be very focused, dynamic and proactive in handling these issues. Q: The CAPP Board recently announced the creation of a climate and innovation task group. Why was the group created? What will it do? Eric Axford, executive vice-president of business services at for Suncor has volunteered to lead the group as its chair. “It’s important to have a group with clear oversight regarding climate and innovation issues.” Q: Who is on this task group? Q: What can members do to help? A: The Board identified a need to keep the group relatively small so that it could be nimble and responsive to the ever-changing external context. At the same time, it was important the group reflect the diversity of operations among our members, and possess the different types of expertise needed to handle the complex dimensions of climate policy development and the interrelated innovation agenda. A: I would say that a key for members is to continue to support the excellent innovation collaboration engines industry has already developed, including the Canada’s Oil Sands Innovation Alliance (COSIA) and Petroleum Technology Alliance of Canada (PTAC). CAPP’s new Climate and Innovation Task Group will oversee and direct all climate and innovation policy work on behalf of the CAPP Board. FEATURE STORY When Devon Canada’s Jacob Denis talks about a new boiler design being investigated at his company, you can hear the pride in his voice. “There are a lot of companies closely watching progress on this technology,” says the senior technical advisor on Devon’s technology development team. It’s a subtle innovation, but one that could have profound impacts for an industry seeking to reduce water use and its GHG emissions intensity. “This is one of those technologies that enables higher steam throughput along with reduced environmental impacts. So it’s potentially very important to Devon and other producers,” says Denis, who four years ago put together a business case for the technology. Company leaders backed his vision, leading to the technology being introduced as a pilot project at Devon’s Jackfish 2 thermal oil sands facility in 2013. Rifled Tubes for Steam Generation Internal ribbing introduces centrifugal force, causing water to spin and propel forward like a bullet. This helps to separate water from steam and more evenly distribute water inside the pipe, ensuring there are no dry spots which can lead to tube failure. The result: better heat transfer and better steam quality. Jacob Denis, senior technical advisor, Devon Canada, led a project using innovative rifled tubes to improve efficiency and environmental outcomes during steam generation at in situ oil sands operations. Ten months later, results validated uplift in steam quality from the normal 78 per cent up to 90 per cent, along with lower water requirements, less boiler blowdown (waste water) and improved energy efficiency. There’s more testing to be done, but the project has stirred excitement inside the industry. Devon’s project is the kind of example Dan Wicklum, chief executive of Canada’s Oil Sands Innovation Alliance (COSIA), likes to point to when he talks about how the power of technology is steadily transforming the oil sands sector. His organization exists at the crossroads for technology development in the industry. Formed four years ago, COSIA was created so Canada’s 13 leading oil sands companies could do things differently to tackle the challenge of improving industry’s environmental performance. Their aim is to draw on each other’s technology expertise, finding innovative answers to the industry’s toughest challenges — and do it faster. “Creating innovation involves a lot of work — a lot of blind alleys and lots of measured failures. But if we can create a system that’s focused, well-resourced and brings the best people together to work in the best ways, then we will be successful. And that’s what we’re doing at COSIA,” Wicklum says. The technology he’s referring to features rifled (ribbed) tubes, instead of the smooth tubes traditionally used in the boilers that generate the steam needed to melt and recover underground bitumen in in situ operations. COSIA has established four environmental priority areas (EPAs): greenhouse gases, water, land and tailings. COSIA has set challenging aspirational goals for each EPA (see figure below). COSIA’s Four Environmental Priority Areas and Goals GREENHOUSE GASES EPA: To produce oil with lower greenhouse gas emissions than other sources of oil. WATER EPA: To produce energy with no adverse impact on water. LAND EPA: To be world leaders in land management. TAILINGS EPA: To transform tailings from a waste into a resource that speeds up reclamation. collaborate. The agreements, which are an innovation in themselves, allow for each company’s proprietary technologies to be shared among the group via royalty-free patent-use rights. “As far as we know, COSIA members are pushing the paradigm of sharing technology further than any other sector in the world,” says John Brogly, director for COSIA’s Tailings EPA. bear. An example is the Water Technology Development Centre to be located at Suncor’s Firebag in situ facility. Projected to open in 2019, the $165-million centre will allow operators to test drive new water treatment and recycling technologies. At the same time, members are undertaking higher risk, unconventional projects with the potential to create breakthrough technologies. An example includes the development of a molten carbonate fuel cell technology that would capture CO2 while generating clean electricity. Finally, COSIA has adopted an open sourcing approach to identify technologies created for other purposes that might be useful to closing gaps in the oil sands. Through its associate members program, COSIA has signed memorandum of understanding agreements (MOUs) with 40 organizations. These include large multinationals like General Electric and IBM, academic institutions and innovation hubs like Alberta Innovates and Sustainable Development Technology Canada. COSIA also recently introduced its Environmental Technology Assessment Portal (E-TAP) which allows anyone, even a weekend inventor working from his or her garage, to submit an idea for consideration. “Oil sands companies have fantastic, world-class people working for them, but the industry doesn’t have a monopoly on smart people. So we’re reaching out to collaborate with other experts worldwide to find new solutions,” Wicklum explains. This effort is driving a vast array of incremental improvement projects — everything from enhancing cogeneration of heat and power, to increasing waste heat recovery, and exploring new ways to accelerate reclamation of mine tailings. “A success for COSIA isn’t just a success for oil sands — it’s ultimately a success for Canada and others around the world.” — Joy Romero, vice-president, technology and innovation at Canadian Natural. firsthand how companies have embraced the COSIA model over the last four years and have really started to drive it. That’s extremely encouraging,” he says. So far, companies have made about 350 implementation decisions involving technologies developed through COSIA. In other words, not only are technologies being shared, they’re being adopted and are delivering improvements on the ground. And members are starting to make important headway on environmental challenges — notably, reducing the amount of fresh water needed to produce a barrel of bitumen. Between 2012 and 2014, freshwater use intensity among COSIA companies fell by 30 per cent for mining operations and 36 per cent for steam-driven projects. “Not only is the COSIA model making sense in terms of promoting collaboration, but the resulting technologies are being used and making an impact on environmental performance changes,” Wicklum says. open, transparent level we’re doing it now through COSIA,” adds Joy Romero, Natural’s vice-president, technology and innovation. Other signs show the organization is on the right track. Others say that COSIA provides yet another benefit — sharing project costs — a message that particularly resonates in today’s sub-US$50 per barrel world. Highlighting Innovation COSIA member companies have developed and shared 819 technologies costing about $1.3 billion. Some projects underway: IN-PLACE ELECTRO-KINETIC REMEDIATION: Electrodes are inserted into a deposit of fine fluid tailings and an electric current is applied which causes the release of water and consolidation of fine particles. OIL SANDS VEGETATION COOPERATIVE: A collaborative effort to collect and store seeds from a wide variety of species. These seeds will be used to revegetate the landscape after operations have ceased and the land is reclaimed to a natural state. COSIA IN SPACE: An investigation into the use of state-of-the-art satellite technology to measure fugitive GHG emissions coming from tailings ponds and mine faces. Learn more about these and other projects at www.cosia.ca. Making Greener Offshore Dispersants DR. ZHANG is an associate professor at Memorial University in Newfoundland and Labrador. A member of their civil engineering department, she has focused her research on the development of environmental technologies for sustainable development of natural resources in ocean and harsh environments. THE CHALLENGE: While marine oil spills are rare, spill mitigation and clean-up can be challenging. Physical methods of collecting the oil on the surface using booms and absorbent sweeps are effective in relatively calm waters. Dispersants—compounds that break an oil slick into dispersed droplets—can be effective under harsh wind and wave conditions such as frequently exist in the north Atlantic Ocean off Canada’s East Coast. Novel, environmentally friendly and cost-effective dispersants which can be applied in the region are thus needed. THE INNOVATION: Dr. Zhang and her team of researchers at Memorial University recently completed a study that explores the possibility that bacteria could be used to create compounds called biosurfactants. These biologically produced compounds could be used to generate bio-dispersants in case of an oil spill. THOUGHTS ON INNOVATION AND THE ENVIRONMENT: O’Neil first joined Trican as a summer student lab technician 21 years ago, and hasn’t looked back. He appreciates the investment Trican has made to research and development while fostering a culture of innovation. “Why expose our own people and the environment to these chemicals when we can find or develop alternatives?” “We’re given the opportunity to really explore—to play with new ideas and approaches and daydream solutions to problems. We’ll never lose that—not under my watch,” O’Neil says. Got a bright idea for a technology or process to reduce environmental impacts? The following chart outlines potential sources of support for environmental innovation projects related to the oil and natural gas industry. A partnership among 13 companies operating in Canada’s oil sands with a revolutionary agreement to collaborate on and share environmental innovation research and technologies. COSIA has an Environmental Technology Assessment Portal (E-TAP) whereby innovators can submit ideas for consideration for partnership and support. An independent organization that funds and facilitates collaborative offshore energy and environmental research and development. Priorities include geoscience and marine sound research. A membership-based organization that facilitates research and technology development on behalf of the Newfoundland and Labrador offshore oil and gas industry. Innovators can submit proposals for projects that address the operational, technical and business needs of the offshore industry. More: www.cosia.ca PETROLEUM TECHNOLOGY ALLIANCE OF CANADA (PTAC) An association whose mission is to facilitate innovation, collaborative research and technology development, for a responsible Canadian hydrocarbon energy industry. Innovators can submit project proposals to PTAC for consideration for funding and support. BC OGRIS supports applied research concerning environmental matters related to oil and gas exploration and development in British Columbia. BC OGRIS identifies high-priority knowledge gaps and solicits proposals for funding. The lead provincial agency for advancing energy and environmental technology innovation in Alberta. Innovators can apply to AI-EES for funding for projects that help convert Alberta’s natural resources into environmentally responsible energy. A funding program through the Government of Saskatchewan that supports research, development and demonstration of new technologies that facilitate expanded production of Saskatchewan’s oil and natural gas resources. Innovators can apply for funding projects involving new technologies related to the environmental impact of oil and natural gas activity. The CCEMC establishes or participates in funding for initiatives that reduce emissions of greenhouse gases or improve Alberta’s ability to adapt to climate change. The CCEMC is funded via Alberta’s Climate Change and Emissions Management Fund. Twice a year (spring and fall), the CCEMC calls for Expressions of Interest where innovators can submit proposals for consideration. Note: The list is by no means comprehensive as there are many government agencies, academic institutions, research councils and non-governmental organizations that support technological innovation across a broad set of industries; the organizations listed here are merely among those most directly related to environmental issues and/or the oil and gas industry in Canada. ENVIRONMENTAL PROTECTION SPENDING BY INDUSTRY According to Statistics Canada, Canadian businesses reported spending $10.9 billion on environmental protection in 2012 (the latest year for which Statistics Canada has published data). The lion’s share of that spending—$4.7 billion—was by the oil and natural gas industry. About half of this money was spent on capital investment projects: investments designed to improve longterm pollution prevention, abatement and control. THE TRANS MOUNTAIN EXPANSION PROJECT: EVERYTHING YOU NEED TO KNOW MYTH: No oil ships out from the West Coast and it’s not safe to begin now. FACTS: Since 1956, tankers have transported petroleum products from the Westridge Marine Terminal out through Port Metro Vancouver without a single spill. •C  urrently, five tankers a month carry oil from Trans Mountain for export. This would increase to 34 a month once the pipeline is expanded. •C  anada has world-leading safety standards for marine transport using tankers, including mandatory use of double-hull tankers, and the use of marine pilots with knowledge of local waters when navigating harbours and busy waterways. Learn more at: bit.ly/2aytNNb. • In the unlikely event of a spill, Canada also has highly trained, expert spill response organizations including the Western Canada Marine Response Corporation. 9 99 99 5 % of liquid petroleum products transported by transmission pipelines in Canada between 2011 and 2015 were moved safely. (CEPA, 2016). $46.7 billion in taxes and royalties from construction and 20 years of operation. direct, indirect and induced jobs would be created per year over 20 years of operations. Based on a report by the Conference Board of Canada. LEARN MORE: Visit conferenceboard.ca and search for the report Who Benefits? A Summary of the Economic Impacts that Result from the Trans Mountain Expansion Project. What You Can Do: In May, the National Energy Board (NEB) released a report recommending approval of TMEP subject to 157 conditions. The final decision is now in the hands of the federal cabinet in Ottawa. The government must make a decision by December 2016. Subsequent to the NEB report, the federal government has announced the creation of a Ministerial Panel to conduct additional consultation with communities and Aboriginal groups. The Canada’s Energy Citizens program is taking a lead role providing Canadians with information and tools to take an active role supporting this project. You can: • Write a letter to Your MP by going to www.supporttransmountain.ca. • Find out when the ministerial panel will be in your community at www.bcfortransmountain.ca. Also, sign-up for email alerts ensuring you get the most up-to-date information regarding the hearings. Why it’s Needed: Growing Production, New Markets in Asia Global energy demand will increase, driven by growing economies and improving living conditions in Asia, particularly China and India. With Canada’s oil sands projected to increase supply by more than 1.5 million barrels per day by 2030 (CAPP, 2016), Canada has an opportunity to become a supplier of choice to these emerging markets, while generating long-term economic benefits and prosperity for Canadians. Exporting oil overseas has the added benefit of diversifying markets and ensuring Canada gets fair market prices for its oil. Workers construct the original Trans Mountain pipeline in 1952. What is Trans Mountain? Trans Mountain is a 1,150-kilometre pipeline built in 1953. It carries oil from Strathcona County (near Edmonton) to the Westridge Marine Terminal Facility in Burnaby. The Trans Mountain Expansion Project (TMEP) would build a second pipeline alongside the existing pipeline to increase overall oil transportation capacity. If approved, construction would begin September 2017 with service beginning December 2019. Increasing Canadian oil supply can help meet rising global demand. For Hazen Murphy, this cargo lift took 30 years to complete. Working at every level of the industry, Newfoundlanders and Labradorians are building a safety culture for all. Requiring years of experience and a specialized depth of knowledge, the path to a career as an offshore crane operator is a long one. When Hazen Murphyâ&#x20AC;&#x2122;s offshore career began in 2000, he had already logged 14 years onshore as a crane operator. Two of those years of crane experience were at the Bull Arm site building both the Hibernia platform and the topsides for the Terra Nova FPSO, making the offshore a natural fit. To date, his combined offshore and onshore hours on the job total over 60,000. Hazen brings a lifetime of experience and awareness of the safety needs involved to carry out every single lift.